I am a huge fan of the movie and the book, The Secret. If you are one of the few who have yet to discover its magic, I strongly suggest that you go out and find it today or put it on your Christmas wishlist. The Law of Attraction is such a powerful law that governs each and every one of us. The power of our thoughts can truly change our lives and transform our situation. One of the elements of the Law of Attraction is gratitude. We must remember to be grateful in every situation regardless of the outcome. Good or bad, we can be grateful for the experience and the knowledge imparted on us as a result. Forgiveness is a huge element of gratitude. Often when we are wronged by others or face challenges, we place the blame on people or forces outside of ourselves. We do not take ownership of the situation. This is sending a negative frequency into the Universe. Instead, we must learn to forgive, with gratitude. As the quote suggests, “Thank you for – giving me this experience.” Even though we may not like to always admit it, every challenge and adversity presents us with the opportunity for growth. The quote reminds us to be grateful and forgive the person or the situation. The challenge or adversity is, in fact, giving us the gift of realization, growth or awareness in some form. If we complain and are not grateful, we will simply continue to receive more of the same. Learning to be grateful through adversity is a powerful skill that will ultimately transform your life. There is always room for forgiveness. 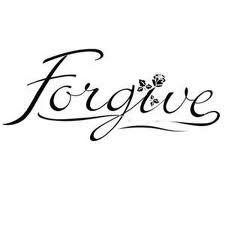 Especially now, coming into the holiday season, attempt to forgive those who you have been holding resentment towards. The weight of that resentment bears only on you. Thank them for giving you the experience to grow and learn. Repeat Until You Learn Your Lesson! Don’t Be a Part of the 95%!